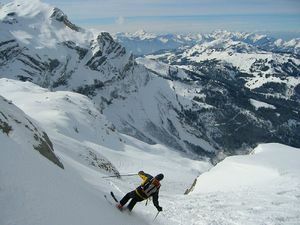 Les Diablerets in Switzerland (in the Lake Geneva region) is a large resort with 23 lifts (4 chair lifts, 17 surface lifts) that offers skiers an incredible 1800 metres (5905 feet) of vertical descent. 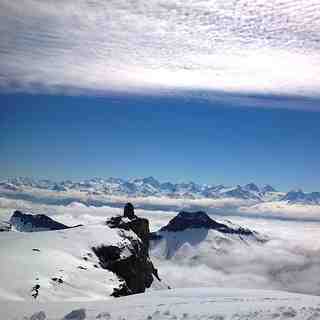 Les Diablerets has 25 pistes. 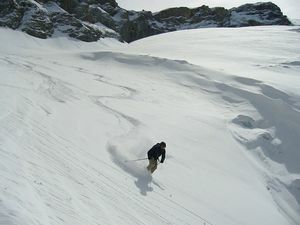 Les Diablerets is best suited to beginner skiers and snowboarders but there is some terrain for intermediates but little of interest for expert skiers. 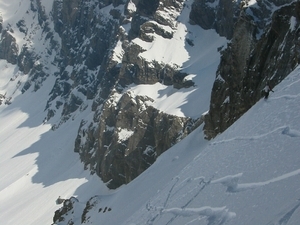 There are 25 kilometers (16 miles) of cross country ski trails at Les Diablerets. For snowboarders, there is a terrain park and 2 half pipes. The closest airport is at Geneva but the transfer time is 1.5 hours. The nearest train station to Les Diablerets is at Aigle. There is accommodation located close to the pistes but we would welcome additional information about any hotels or chalets in Les Diablerets. The piste map is not up-to-date anymore. The Isenau section is out of order, so Diablerets-Villars-Gryon is not ski-linked anymore with Glacier 3000. The link between Diablerets and Villars-Gryon is via a skilift in both directions. I only went skiing there, did not stay on the mountain. I parked in Gryon. First day in the center, where you can take a bus or just walk for 5 min to the lift; you have a piste 'til there. Second day at the lift itself. 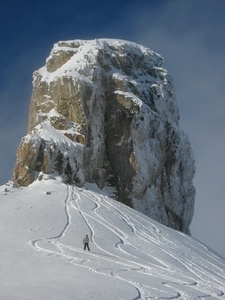 Gryon is 1 nice mountain, Villars has a snow guaranteed high plateau and a nice village run. Diablerets is mainly between the trees, the nicest (red valley) run starts at the middle-station. The ski route of Villars was not open when I was there, so not so demanding.